Today was the big appointment with my oncologist during which I planned to tell her, vehemently, that I had broken up with tamoxifen, and that I had already noticed a significant improvement in my quality of life. I had my argument planned in my head, had all my answers, research and sass ready. To say I was resolute would have been a huge understatement. I was at peace with this decision and I was ready to live with it and all the consequences. As it usually happens with me, whenever I am prepared to defend myself or my position – I didn’t have to at all. My pain, the side effects, everything, was acknowledged. Then she told me that in the last year Texas Oncology has heard the pleas and complaints of the patients under their care and have rolled out an entire program to help patients with their side effects. I couldn’t hide my surprise. The last time I’d sat in that chair, I was tearfully pleading for help with the nearly debilitating joint pain (among other side effects) and was met with a blank stare and “that’s not my specialty.” I felt that, given that experience, I was in for a lengthy debate to justify my deep, ingrained notion that I was due a better quality of the life that was spared. Just trying not to be dead. I was stunned. I almost started crying, but it would have been an ugly cry, so I sucked it all in as hard as I could. She agreed with me. I didn’t see that coming! She stressed good eating, weight loss, continuing my natural therapies (though I know she still doesn’t quite agree with that), and concentrating on improving and enjoying my life. I cried on the way home, grateful that 1, I didn’t have to take tamoxifen anymore, and 2, that I didn’t have to argue the point. I can’t tell you how gratifying it is to stand up for myself and have it rewarded in the way I wanted, but did not expect. 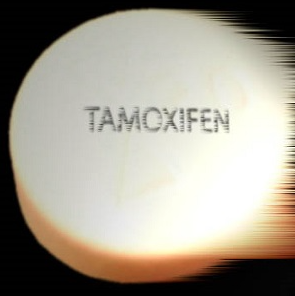 I will end with this: Tamoxifen, I do thank you for what protection and prevention you have given me. I will not, however, miss you, be sentimental about our time together, or yearn for the life-sucking “good ol days.” I am more than happy to leave you behind! Beautifully written! I’m currently struggling with the same issues you’ve described. I’m now on “plan C” and if it doesn’t work, I too will be saying good by to Tamoxifen! I love the way you shared your thoughts. I have been struggling with how to ask my oncologist to quit now that I’m at the 5 year mark. You have encouraged me and I thank you for that. I had a mucinous tumor and I was put on a estrogen blocker, Tamoxifen being one of them. My oncologist tried 3 different brands. All were making me sick. I had this same experience of having to tell the Doctor that I wouldn’t take anything and just take my chances. My Doctor agreed jus like in this article. And I have decided that no more dangerous mammograms. At 75 I will just live my live and what will be will be. Hi I would love to show you a study that’s not peer reviewed but shows a natural product that worked just as effective as This drug. Most importantly I’m glad your better!!! I’m profoundly deaf in right eye and experience joint pain while on this rx. 6 months later I told my oncologist no more rx. I’m still with joint issues and I still can’t hear out of my right ear!